Dr Helmut Brand is president of the European Health Forum Gastein (EHFG). He is Jean Monnet Professor of European Public Health and head of the Department of International Health at Maastricht University and co-chair of the European Alliance for Personalised Medicine (EAPM). Brand serves on the European Advisory Committee on Health Research (EACHR) of WHO Europe and on the Expert Panel on “Investing in Health” (EXPH) for the European Commission. 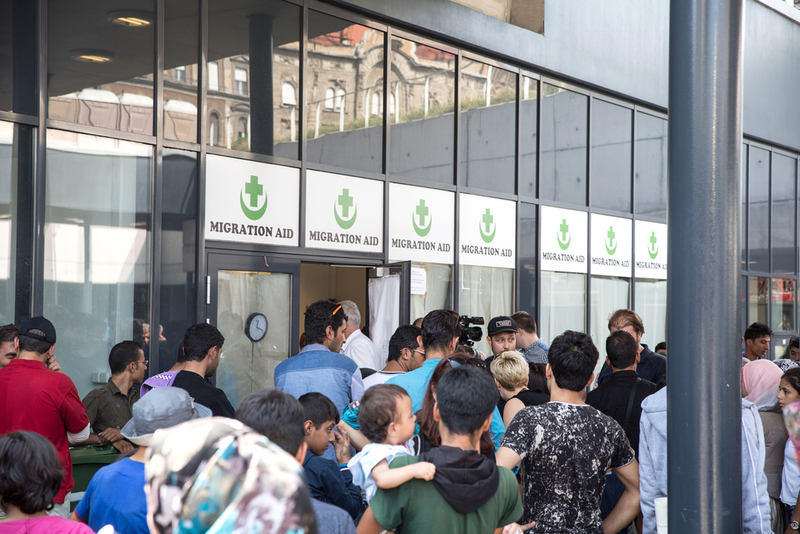 As politicians in Brussels and European capitals attempt to agree a coordinated EU strategy to cope with the continued influx of refugees into Europe, concerns are being raised that refugees will overwhelm Europe’s health systems. While there is much to be concerned about, and medical support is needed in the refugee camps and at border crossings, fears that health systems won’t be able to cope once the refugees have arrived in their host countries are unfounded. One concern being voiced is that the high numbers of refugees coming into Europe are bringing with them infectious diseases. This is false. The health of the general population is not in danger from the influx of people and neither is our welfare state. Yes, some refugees may be malnourished, dehydrated, traumatised or suffering from common chronic conditions which they have been unable to treat due to the conditions in their home country, but the majority of refugees are comparatively healthy and predominantly young. Once they have a job, they can contribute to society just as we do. Primarily, it is fit people who flee and thus, with the appropriate treatment, they recover quite quickly. As refugees tend to be young, their impact on European health systems are short-term – negligible compared to the challenges we are currently facing in Europe with an ageing demographic. Europe could actually benefit from this healthy migrant phenomenon, but this will only happen if we address the refugees’ immediate needs. This often includes routine treatment for communicable diseases and trauma, but there is a gap between the demand and response. Refugees coming to Europe may have lost relatives, seen their homes demolished, encountered and witnessed horrific events, so it is not surprising they are often found to be vulnerable to mental health issues. For example, a child who has seen and experienced things that they are unable to process may find themselves only able to sleep in the kitchen under the table because in their family home the kitchen was often the only solidly built room. If we can help the children cope with their fears, then they have a good chance of dealing with their mental health disorders and developing normally. But again, to avoid any long-term mental health issues and strain on mental health services, we need to deal immediately with the specific healthcare needs of the migrants. These are sometimes poorly understood or even dismissed due to issues with communication and healthcare structures in Europe. At last year’s European Health Forum Gastein, Commissioner Vytenis Andriukaitis discussed the refugee crisis and called for EU solidarity to provide healthcare to those in need and greater efforts to ensure adequate access to healthcare for both migrants and refugees. Healthcare system and medical professionals need to adapt to the changing landscape in Europe. In fact, in 2015, the initiative “MiMi – With Migrants for Migrants” received the European Health Award, granted to projects aimed to improve public health in Europe. Its work integrated migrants trained on health issues to counsel new arrivals. This is one example of how to adapt a healthcare system to deal with the new challenges. We have also seen, in some EU countries, schemes being developed to allow refugee and migrant doctors to work in hospitals under supervision for the first year. This is the first step to achieving regulated integration in the healthcare sector. With this progress, we can focus on ensuring that each and every person – whether a migrant, refugee or citizen of Europe – has full access to health care. As president of the International Health Forum Gastein, I look forward to driving this health agenda forward with this year’s theme, “Demographics and Diversity in Europe – New Solutions for health”. The European Health Forum Gastein will take place from 28 to 30 September and will look at the challenges and solutions for our health systems brought about by unprecedented demographic changes and increased diversity. Way too many foreigners arriving way too quickly time the Commission was told to get stuffed by the people. Well I’ll correct you Mr Brand. Firstly Europe does NOT, thankfully, have a Health Service! Individual nations have health services. Wishful thinking Mr Brand? Secondly, if these so called relatively fit young men stayed in their own countries they could help fight to free their countries and the problem would be on its way to a solution. Thirdly, EU solidarity usually means that the few EU countries taxpayers that keep the EU going have to pay more in to give to the 2nd world countries that have been allowed to join the EU that shouldn’t have due to its unchecked expansion! And lastly as your a rabid Europhile, Federalist and Bureaucrat that millions have never heard of, I wouldn’t believe you if you told me water was wet! !